You may have noticed a change in the air; Friends are donning suspiciously woolly jumpers, you’ve found yourself singing along to Wham and Mariah in the car and shops are becoming sparkly and colourful … Yup… it is beginning to look a lot like Christmas. We’re getting in on the action and bringing you a guide to Christmas Things to Do Brighton 2015! You can choose from a long list of Christmas events (certainly longer than your wishlist) with meet Father Christmas, outdoor activities and events, the all important shopping, theatre, arts and charity events. Get your Christmas 2015 sorted here. The most beautiful ice rink in the South East is now open! This twinkly, romantic, child-friendly and above all stunning ice rink does not only offer a huge rink side bar, but also a restaurant and a 40 metre terrace. The Bar & Kitchen offer mouth-watering patisserie snacks; festive toffee apples for a Christmas treat; a quick drink with the best view in the City or a full three-course meal with family and friends. Furthermore, this hidden gem of ice is gorgeously lit at night and is especially great for those wanting to skate in a beautiful setting as well as sit down and eat after all the fun! Even a beginners’ area, penguin skate aids and skate sizes from ‘just walking’ to adult are available. If you just want to sit and soak up the atmosphere, there’s no charge for spectating. On 12th December Santa Dash is back! It’s that time of the year again and soon the streets of Brighton will be overrun with people spreading their Christmas spirit as the Brighton Santa Dash takes place. The annual 5km race is known for creating superb scenes as hundreds of gleeful runners, all draped in their bright red Santa suits, make their way along the Brighton seafront. A Santa suit to wear for the occasion and a bespoke medal showing your racing achievement are included in your entry fee. The Santa Dash is always great fun and amusing to see. Above all it makes a great photo! On top of that you can bring your children down to watch and let them participate in the free 400m race before the main event at 10:20am. Each child who participated in the 400m race will be rewarded with a medal. Want to do something truly luxurious this Christmas? The Festive Forest pops up at Stanmer House for 6 weeks only – a beautiful experience of twinkling lights, hot drinks around real fires and a fab party atmosphere! Expect dancing until the early hours! The fairy-lit outdoor space will be decked with bench swings and toadstool seats around open fire pits – perfect to light your sparklers with, or toast your marshmallows over before dipping into a warm mug of baileys. Canopy covers, outdoor heaters and woollen blankets will help everyone stay extra toasty. On top of that, a grill BBQ will be cooking up delicious Christmas fare, with dessert canapés and hot sugared nuts topping off the perfect festive feast. Go on, treat yourself. If you could have anything, absolutely anything, what would it be? We all have wishes. We all yearn for things that might never come true but we wish for them all the same – especially at Christmas and New Year. The Lewes Enchanted Park invites you to take a magical after dark journey through the beautiful Southover Grange Gardens. Discover an illuminated landscape, spellbinding artwork and surprises around every corner as the story of a very special, enchanted festive wish is being told. 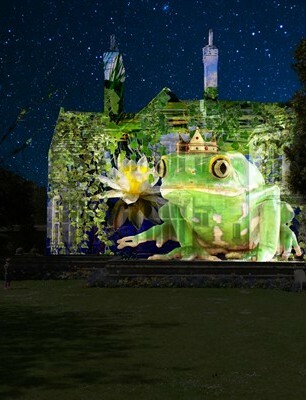 Each night their award-winning team of artists, digital media and projection specialists will transform Lewes’ historic gardens into a magical and mesmerising mix of light, moving images and sound, bringing a Christmas wish to life. Our Christmas things to do Brighton 2015 wouldn’t be complete without the lights switch on! Head down to East Street and enjoy the countdown to the Brilliant Brighton Christmas Lights switch on 2015. This year, the event will be in partnership with local Charity Rockinghorse, and supporting this free event for the fourth year running will be JuiceFM. This year there’s going to be a packed stage, prize giveaway and some special guests to celebrate the start of the festive season in style. Make sure you take your place at the Juice Stage on East Street to get your free raffle ticket for a chance to win one of many great prizes. If you don’t win, there’s still some stellar entertainment on offer from The Theatre Workshop, singing group Vocademy and local singer songwriter Hobbie Stuart. This family friendly event marks the annual switch on of the largest festive lighting display on the south coast, provided for the city by Brilliant Brighton, a collection of 517 businesses in the heart of the city. Come and celebrate turning on the Christmas lights at the Open Market! Aladdin will not only turn his magic lamp on, but he and the rest of the cast of Aladdin from Emporium Theatre will also be turning on the festive market lights. There’s also the opportunity for your kids to meet the adorable snowman Olaf from Frozen and if you look up to the sky you might also get the chance to meet a stilt walker fairy. 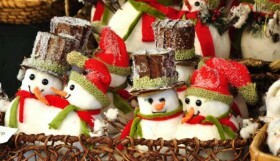 On top of all that fun and entertainment, you can also get your Christmas shopping done since there will be over 40 stalls selling unique gifts and local produce. 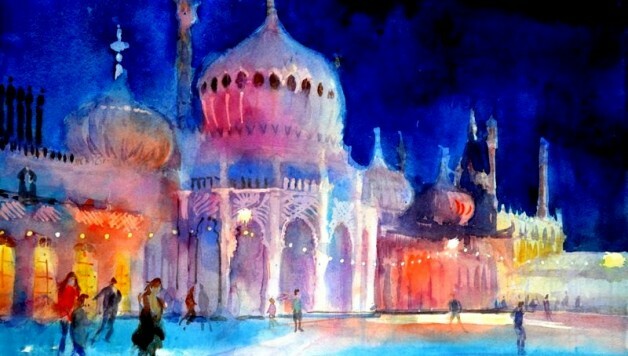 Every year on 21st December, the shortest day of the year, Same Sky – Brighton’s community art charity – produces a much-loved free event in Brighton called Burning the Clocks. 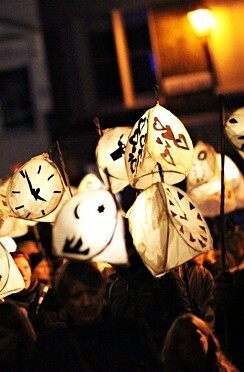 It is a unique community event in which local people make their own paper and willow lanterns. After carrying them through the city in a lantern parade they pass them into the fire on Brighton beach, as a token of the year’s end. Then a dazzling fire show is set in motion, in which a massive fire sculpture is ignited, live music plays, and fireworks light up the sky! 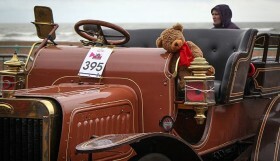 Over 2,000 people now take part in the parade and over 20,000 spectators turn out to watch. 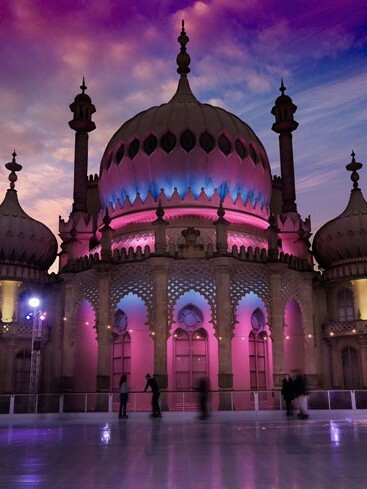 Our top recommendation for Christmas things to do Brighton 2015. 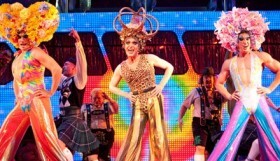 Rush to Brighton Dome for a day of free festive entertainment. There’s a café/bar with a host of family-friendly entertainment and activities waiting for you and it’s ready to get you into the Christmas mood in the snap of a finger! The event features some fun crafty activities for kids, live music, an opportunity to send your letter to Santa and get your child’s face painted. On top of all that, ‘Christmas Open Day’ will be bringing back their annual festive photo shoot, so don’t forget to dust off those Christmas jumpers! Enjoy your Christmas shopping to the sound of choirs singing Christmas carols, whilst enjoying special discounts and offers in many of Churchill Square’s stores. 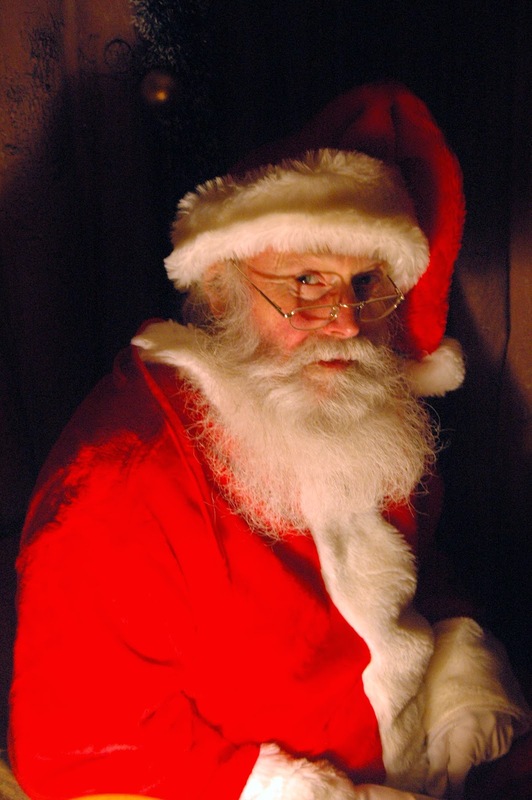 Get ready for your annual family trip to meet Father Christmas with our Christmas Things to Do Brighton 2015. First up is the cosy fireside setting of Lady Ellen’s beautiful Drawing Room at Preston Manor. 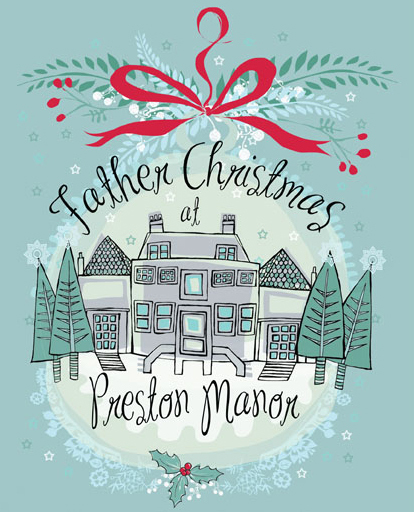 Afterwards you will be given the chance to explore Preston Manor top to bottom and discover how a Victorian family prepared for a magical Christmas. The theme for Churchill Square’s Santa’s Grotto this year is The Christmas Pudding Factory. There will be loads of fun activities for children to take part in and all the action takes place inside a giant inflatable pudding! Learn the dance of the Pudding Plum Fairy, sing along with the Christmas ‘caroloke’ and play games before you meet Santa and his helpers Figbert and Brandy in the kitchen. Help Santa make a giant Christmas pudding – will you be lucky enough to find the silver sixpence inside? Step into a world of magic and wonder this Christmas as Field Place welcome you to their Winter Wonderland. Climb aboard the Wonderland Train, visit Santa in his Christmas Grotto and receive a fabulous gift! Take part in a host of fun activities, including cookie decorating, face painting and much more! Mulled wine, bacon baps and mince pies are available as well! It’s that most wonderful time of the year and the elves have been very busy bringing a little bit of North Pole magic all the way to Spring Barn Farm. Santa will be taking residence in his cosy stable ready to meet all the good boys and girls. Meet the head elf at the entrance to the magical Wonderland Walkway, and listen carefully for your instructions on how to find Father Christmas… but wait, there are a couple of things you must do first! Help his elves mix up the magical reindeer food recipe that keeps Rudolph and his pals flying, and take home your own bag of reindeer food for Christmas eve. Don’t forget to post your letter in the box too, so that Santa can remember all your Christmas wishes! Head through (in family groups) to meet Santa, before visiting the Elves toyshop to choose a special Christmas gift! Of course, no festivities would be complete without the star attraction and visitors will not be disappointed as Father Christmas makes a welcome return to the zoo. Visit him in his cosy Christmas Cottage in Drusillas Park. 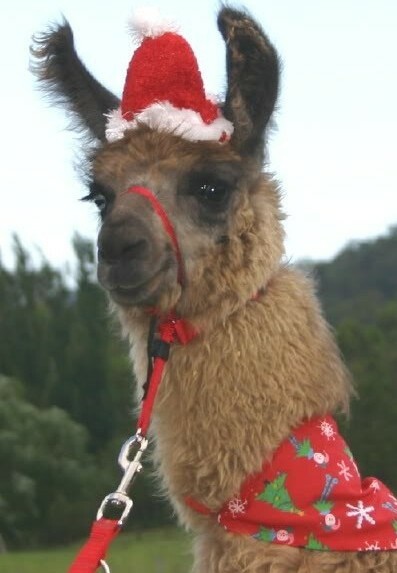 Bring your children to meet Father Christmas at The Llama Park’s Christmas Wonderland and receive a Christmas present from him. Yes … you heard it right! Father Christmas himself will come flying in on his sleigh just like every year for his annual visit to his loyal reindeers Cracker, Star, Belle and Donner. This is the perfect opportunity for your children (and yourself!) to meet the infamous reindeers and have an experience that you will never forget! This year you will get the chance to meet two of Santa’s reindeers at Drusillas Park! Rudolph’s relatives, Angel and Twinkle, are already waiting for you to meet them in the Events Arena. Hurry up and make friends with Angel and Twinkle. Father Christmas returns to the truly extravagant Royal Pavilion for a traditional treat for all the family. After a magical meeting with the man himself, explore the Prince Regent’s party palace on a special exotic creature trail. 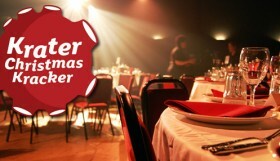 All in all, i’s a lovely way to meet Father Christmas in an amazing setting in the heart of Brighton! 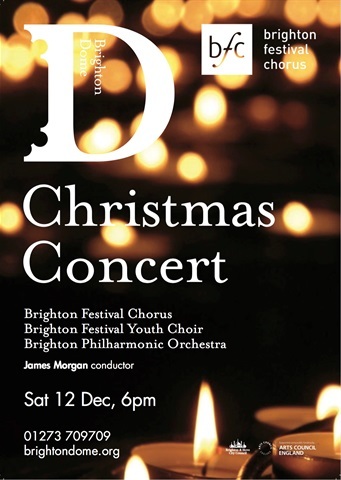 Brighton Dome is pleased to announce that their annual Christmas Concert will this year be, for the first time, with the Brighton Philharmonic Orchestra. It is going to be a joyous celebration of the very best of Christmas music, from traditional to modern, including all your best loved carols and festive favourites. James Morgan, the Music Director of Brighton Philharmonic Orchestra, says, “It’s lovely to be part of what is becoming the start of the Christmas festivities for many families in Sussex. The combination of symphony orchestra, organ, massed choirs and the audience singing together is always a very special moment in the year for us.” A highlight in our Christmas things to do Brighton 2015. Artists Open Houses is a free event where artists and makers open their houses and studios, letting art lovers browse and buy original artwork direct from the artist. The 2015 festival takes place during the last two weekends of November and first two weekends of December. With a focus on quality and value for money, the Artists Open Houses festival aims to bring a dynamic mix of arts and crafts to the widest possible audience, providing visitors and viewers with engaging and inspiring experiences. Visitors can expect to see a wide range of art including jewellery, ceramics and textiles, paintings, sculpture, printmaking, photography and many other media. The classic Hans Christian Andersen tale reimagined with hand shadow puppetry, from the creators of Brighton Festival’s sell-out show Small Fables. The Ugly Duckling is the story of a little bird who sets off on an adventure to find out who he is; on his journey he meets a plastic-spoon fish and a colander turtle, a rattling crab and a strange snake, a sneezing dog and a singing rabbit and finally…a magnificent swan! Expect live cello music played by Penny Callow (Flaming Cello), beautiful light-scapes, whimsical humour and clever use of everyday objects, in this brand new Christmas show. A fun and unique adaptation of Dickens’ classic Christmas tale. Box Clever’s production interweaves the traditional story with modern interpretation. Crammed full of dramatic scenes and characters, from Marley’s ghost to the saintly Tiny Tim and Ebenezer Scrooge himself, a cast of three brings the revolving stage set to life with puppets and music. Box Clever is an award-winning, writer-led theatre company dedicated to the creation of contemporary theatre for young people. This show will inspire and delight teens and adults alike. Quirky and engaging, Lantern Light’s charming re-telling of the classic fairy-tale will have you hunting for pebbles, clapping to the polka and singing along with the Forest Song! In an exciting new script, Lantern Light’s ‘Hansel & Gretel’ turns the evil stepmother into a tragic heroine, the hapless woodcutter into a harassed father and follows two awkward children through their adventures and lessons in life… Remaining true to all the elements of the original fairy-tale, Hansel & Gretel brings new wit and character to the family. For ages 5+ . Families with older audience members will have just as much fun joining in with the show, as well as the younger children, who often come dressed as fairy-tale characters. Jack and the Beanstalk – Christmas Panto! Panto star Tom Beard returns to head another fantastic cast including the cream of Shoreham’s very own local children’s talent, on an unforgettable magical journey this Christmas. Thanks to a handful of magic beans, a gigantic beanstalk which climbs to a land high in the sky – and a heart full of courage – Jack’s adventure could lead him to health, wealth, happiness, and a beautiful Princess to rescue too, or it could lead to the Giant’s dinner plate… and even we don’t know what could happen! With magic, puppets, a stellar cast and a hilarious story – LP Creatives are back with their biggest show yet. That Was the Year That Was 2015: Brighton’s favourite satirical comedy show is back with their annual ‘best-of’ send up of the bankers, politicians and celebrities that made the news in 2015. Now in its 5th year as a sell-out Christmas fixture in the Dome Studio, this festive review of the year is packed with a bumper crop of satirical songs and sketches from a year’s worth of the Treason Show. Wickedly crafted by a team of over 40 writers and directed by Brighton Fringe award winner, Mark Brailsford. Once again, Churchill Square will be launching its Christmas Giving Tree appeal in aid of Chestnut Tree House hospice. Chestnut Tree House is the only children’s hospice in Sussex and provides specialist care to children and young adults. Children at the hospice will write their Christmas wish lists on special gift tags, which are then tied to the Christmas tree at Churchill Square. To donate a Christmas gift to a child at the hospice, simply select a label, purchase a gift and hand it in to Customer Services. Alternatively, you can choose your own gift. Thanks to the generosity of Churchill Square shoppers, previous appeals have seen thousands of pounds worth of gifts donated to children at the hospice. 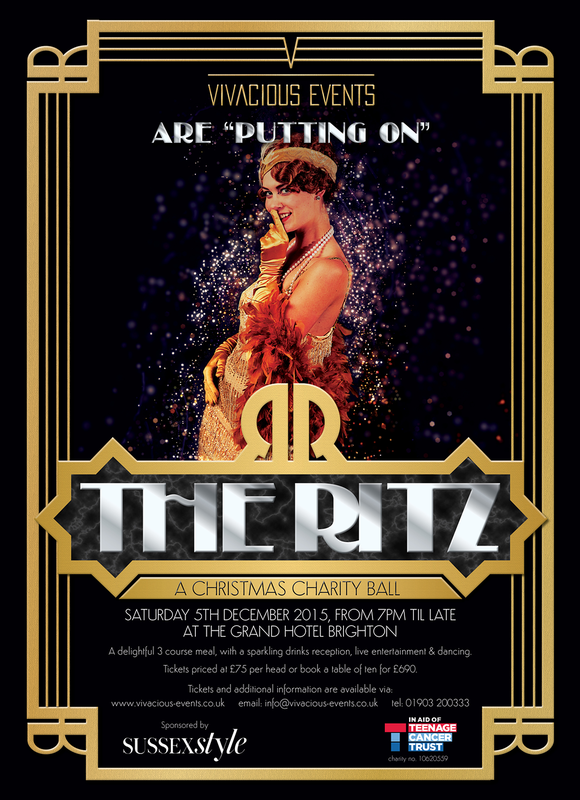 ‘Putting on the Ritz’ will be a fabulous throw back to the 1920’s transporting guests to one of the most glamorous and exciting era’s of the 20th Century, with music and dancing from the period and a sumptuous 3 course meal with wine. As well as a delightful opportunity to celebrate this Christmas in style, you will be supporting Teenage Cancer Trust who carry out remarkable work helping to care for and support Teenage Cancer Sufferers and their families. Amongst many highlights of the evening will be an auction in support of this very deserving charity. Get your feather boas and wing tip shoes to the ready, and buy your tickets! Christmas things to do Brighton 2015 wouldn’t be complete without carol singing, and where better to celebrate than the Royal Pavilion Music Room? Sing along with two fantastic choirs and enjoy mulled cider and mince pies during the interval. Take a ride with Santa in his sleigh is back again this year to help raise vital funds for BHT’s First Base day centre who support homeless people in Brighton and Hove. Santa’s sleigh ride costs £4 per person and approximately 6 people can ride at any one time to have a festive ride around The Level. This year they also have B.A Mitchell and sons attending with hot donuts, roasted chestnuts and a couple of children’s rides to entertain the kids. So come along to help support a very worthy cause raising funds towards BHT’s Urgent Christmas Appeal and have a ride on the only road legal Santa’s sleigh in the UK!